http://keepthefaithful.com . Info updates also at http://twitter.com/keepthefaithful & http://www.facebook.com/events/247977405281350 . the UK’s Soul talent. As featured on Sky TV. legendary Ronnie Scotts Jazz Club. platform for new & established artists. in the house. email info@keepthefaithful.com if you’d like to perform. 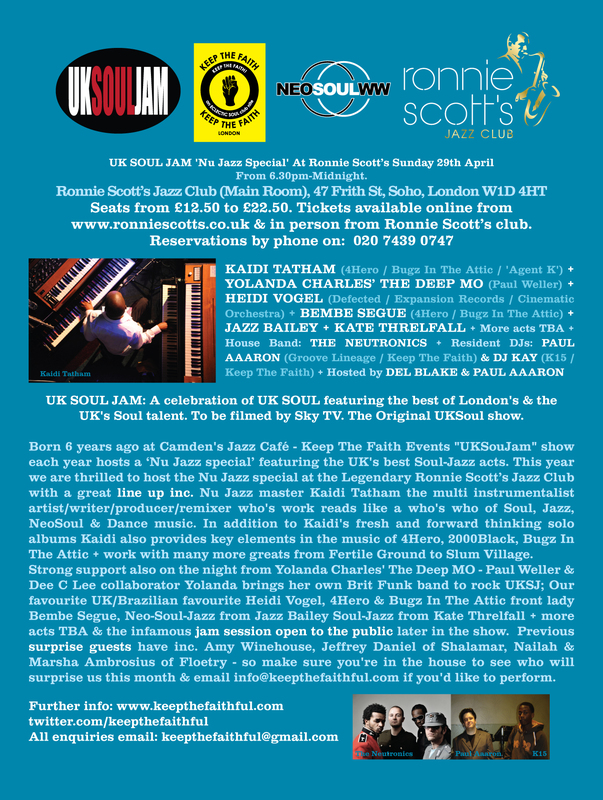 UK SOUL JAM – The ORIGINAL UKSOUL Show. from multi-instrumentalist, writer, arranger & producer. Black & Mark De Clive Lowe. new album forthcoming this year. 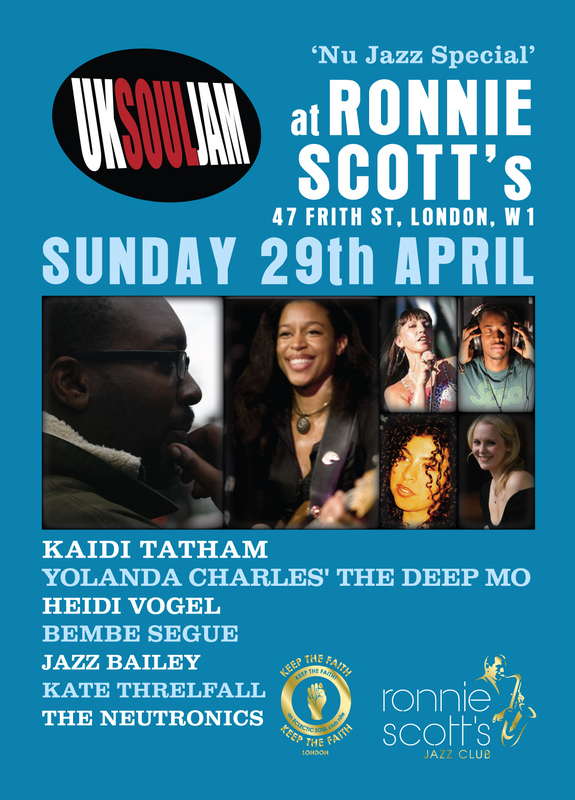 UKSoulJam on April 29th at Ronnie Scotts. Bedingfield, Level 42 & currently Sinead O’Conner. of Acid Jazz tinged UK Funk & fusion. new album on this Nu-Jazz-Soul special. the latest from this relentless UKSoulJam favourite. forward to what Jazz brings us live next on April 29th. All enquiries please email keepthefaithful@gmail.com.